Golden rules to keep your skin looking youthful – the best way to do this is by choosing the right di et. Fruit and vegetables contain powerful antioxidants that help to protect against the cell damage caused by free radicals, which include smoking, pollution and sunlight. Vitamin C is one of the most powerful antioxidants. It is found in all fruit and vegetables but especially in citrus fruits, red peppers and kiwi fruit. Betacarotene, found in pumpkin, carrots, and sweet potatoes, and lutein, found in kale, papaya and spinach are also antioxidants. Repeatedly losing and regaining weight can take its toll on your skin, causing sagging, wrinkles and stretch marks. Crash diets are often short in essential vitamins, too. This is also a powerful antioxidant – studies suggest that a selenium-rich diet can help to protect against skin cancer, sun damage and age spots. One way to boost your intake is to eat brazil nuts, fish, shellfish and eggs. Even mild dehydration will cause your skin to look dry, tired and slightly grey. Drink at least six glasses of water a day – all fluids count towards your daily allowance, but water is the healthiest. Good fats – the type found in avocados, nuts and seeds – provide essential fatty acids, which act as a natural moisturiser for your skin, keeping it supple. Zinc is involved in the normal functioning of the oil-producing glands in the skin, and also promotes skin healing. Zinc-rich foods include red meat, wholegrains, wheatgerm and shellfish. 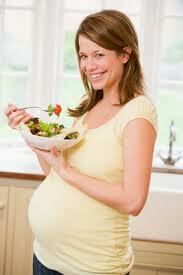 Good nutrition is important all through life and particularly so when trying to become pregnant. It is a good idea to make any changes to your diet and fitness in plenty of time before you become pregnant (at least 3-4 months beforehand). This helps to boost your fertility and makes sure that your stores of key nutrients are at their best and that your weight is stable. Lifestyle changes are just as important for men as for women. Obesity, alcohol intake and nutritional deficiencies can have a negative effect on both male and female fertility- so look at taking these positive steps together. Try to get to a healthy weight – follow healthy eating guidelines and exercise routines. Take a folic acid supplement every day – Folic acid is a B vitamin that plays a crucial role in the formation of the spinal cord and brain by helping the neural tube to close over properly. Simply start taking a 400mcg folic acid tablet every day at least 10-12 weeks before you plan to get pregnant. Continue to take it until week 12-14 of your pregnancy. Eat more iron rich foods – Most women in Ireland don’t eat enough iron rich foods. Including rich sources like lean red meat, chicken, turkey and oily fish several times a week will help to boost your stores. Including plenty of vitamin C from fruits and vegetables and cutting down on your tannin (tea, red wine) boosts your iron absorption. Calcium & Vitamin D – Good stores are needed for baby’s development and to protect mother’s bones. Be sure to eat at least 3 servings of dairy foods (milk, cheese, yoghurt) every day to meet your calcium needs. Vitamin D is found in foods like oily fish, margarines, cheese and eggs. It is also made in the skin through the action of sunlight. Just 20 minutes daylight on hands and face everyday will help to boost your stores. Alcohol- cut it down or cut it out – Alcohol intakes higher than the guideline of 14 units a week for women and 21units a week for men may have a negative effect on fertility for both men and women. Excessive alcohol is harmful to your baby’s development, and the early days and weeks of life (when you may not know that you are pregnant) are most sensitive to even moderate amounts of alcohol. Smoking- quit now – Smoking cigarettes reduces your fertility. Smoking when pregnant is harmful to your baby and is linked with low birth weight and premature birth. So it’s the time for New Year Resolutions again! As I researched the content for the first blog of 2012 I came across this video on the BBC website and decided to share it with you all. It gives us an insight into the psychological impact of sticking to New Year Resolutions. I hope this helps to keep you all on the right track. Enjoy! 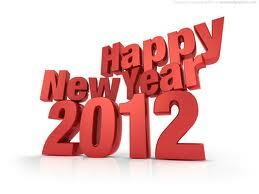 You are currently browsing the Nutritional Concepts Tips and Advice Blog blog archives for January, 2012.